Breathing is essential. Every inspiration, a reaffirmation of living. Every expiration, a release. You can go a long, long time without eating (on the order of weeks). A surprisingly long time without drinking (I’ve been shocked to learn just how long through my husband, a palliative care nurse). But breathing? Within about 3 minutes, you’ll start having brain damage. And without intervention, it won’t take many more minutes and you’ll be dead. There is obviously no question. Breathing is the most important movement of your life! And, as an indicator of quality movement, free and easy breathing is, arguably, the most important. Although I said in the last post, that the quality of reversibility is my favourite of the 4 elements because it has helped me make a quantum leap in my own and my clients’ quality of movement, I’d have to say that breathing is, in my mind, the best indicator of the quality of your movement and posture/acture. Interfering with free and easy breathing is frighteningly common. There are many reasons for this, not the least of which is that there are so many ideas as to what excellent breathing is and how it should look. These ideas are often imposed consciously as well as unconsciously causing all sorts of dysfunctional breathing patterns. To complicate things, unless you have a practice that draws your attention to your breathing, you probably completely take it for granted — which is appropriate if you are moving through life with perfect ease and vitality. But I’d venture a guess and say that the vast majority of humans spend the majority of their days breathing less simply, easily and efficiently than they could be. And so, most are not moving through life with perfect ease and vitality. Your library of distinctions in terms of all the sensations you could feel regarding your breathing is impoverished. 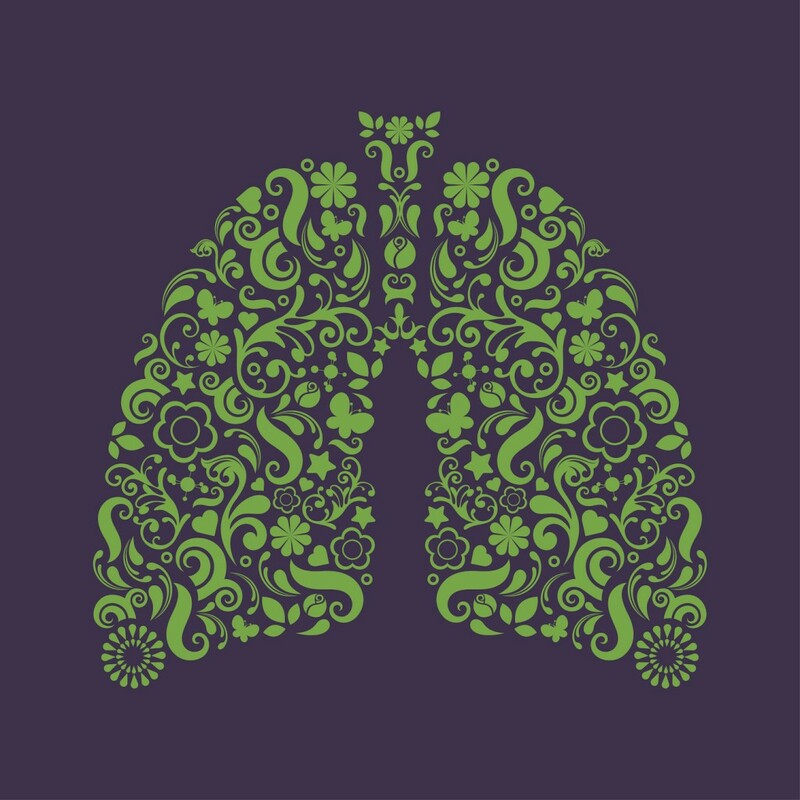 You overlay all sorts of judgments and ideas about what proper breathing is, and what parts of you are involved and try to make yourself breathe that way. To address the first difficulty, you simply have to do the work of growing your ability to make finer distinctions. This was covered in the blog post: Want Quality Movement? Learn the Less is More Rule. It’s the second difficulty I’d like to address in this post. There is no one “right” way to breathe! Consider this one simple example: running. A 100m sprinter will not breathe much during a race. They’ll recruit their diaphragm, the primary breathing muscle, to help create more stability in their abdominal cylinder. Because they generate such profound forces with their hips, great stability of their abdominal cylinder (pelvis and low back) is a huge asset. Since they’re only running for 10 seconds or so, they don’t need to breathe much. What they need is the ability to deal with the loads imposed on their body by the massive amounts of power they generate to run fast. A marathoner is still a runner, but as should be apparent, they have to be using their diaphragm for breathing. A. Lot. Of. Breathing! You can’t run for 2 hours or more without moving a phenomenal amount of air to oxygenate your cells and rid yourself of all the waste carbon dioxide you produce. It’s all running, but breathing well is totally different for different running. Now, what about sitting quietly, or walking your dog, or speaking at an event, or playing a muscle instrument, or bending over to put on your socks, or gardening, or moving furniture, or painting the ceiling…. Do you think good breathing is going to look the same in every instance? Nope. Not a bit. One of the primary outcomes of engaging in Feldenkrais MethodⓇ lessons (whether through Functional IntegrationⓇ or Awareness Through Movement lessons) is becoming more adaptable and resilient. So instead of looking for the one right way to do anything (which doesn’t exist anyway), you are looking to have three, four or more ways to do anything. This makes you an adaptable human being. What I’m inviting you to consider is that as long as you are moving as an integrated whole and with quality, you’re good. And more than that — being adaptable means you have more than two ways to do a thing — whether that’s lifting a weight, putting on your socks, holding an instrument, hiking, whatever…. The same is true for your breathing. You want to be able to access all aspects and possibilities with your breathing so that whatever position you find yourself in, whatever action you are engaged in your breathing is in service of your intention. You move and do whatever you’re doing with more flowing, powerful, natural grace. When learning to develop more refined, quality movements, like in Awareness Through Movement lessons, breathing becomes an amazing barometer to help you gauge the quality of your movements. If your breathing becomes even just the tiniest bit more laboured, you can bet there is more efficiency you could find in your movements. Imagine a content, well adjusted, four year old who just had the best day of her life. Each breath comes and goes naturally. There’s a quiet, easy rhythm to her breathing. And, it’s not perfectly even. Some breaths move her ribs more than her belly. Others move her belly more. Some breaths might be just a little longer and deeper. Sometimes, the pause at the end of her out breath extends a good while longer, and you wonder, “When’s the next in-breath coming?”…. Take some time picturing this sweet image. Sense it. Sitting or lying quietly as you read this — sense that kind of spontaneous breathing. From this way of ALLOWING breathing to unfold……. Hmmm. Let’s take a step back…. You see, when you bring your attention to your breathing, you probably begin to breathe consciously/on purpose. Maybe the only time you notice your breathing in your day to day life is when you become short of breath, or when you’re feeling emotional. Unless you have some sort of mindfulness practice, whether that be meditation, yoga, Awareness Through Movement or some other practice, breathing is something that you’ll likely “do” (skillfully or poorly) when you bring your attention to it. But you don’t have to be consciously breathing on purpose. You know this is true, don’t you? Unless you have brain damage or some other illness, you breathe just fine without any part of your conscious brain having to get involved. You sleep on a regular basis for hours at a time and breathe away while totally unconscious. And you wake up alive in the morning. Simply learn to observe your breathing without actively breathing on purpose. Use your conscious mind to observe and sense while letting your breathing centres deep in your brain, beneath your conscious processing parts take care of the action of breathing…. Here’s What You Can Do Right Now! To begin to allow breathing to unfold with ease, start exploring how you can move WITHOUT INTERFERING with the sensation of effortless, easy breathing. For example, if you’re sitting, how can you come to standing without even the slightest hitch, pause, or purposeful manipulation of your breathing? Can you find several ways to come to standing without the tiniest holding of your breath? And without any embellishment or contrivance of your breathing? Move slowly. Very. Very. Slowly! Move so slowly it take you 3 cycles of breathing in and out to make your way to standing, and 3 cycles of breathing in and out to return to sitting. This way, you won’t fool yourself about the quality of your breathing and your movements by using momentum or skipping quickly over the rough spots. When you are not deriving power from your pelvis, with your head free to move in any direction, you can be sure you’ll be unnecessarily restricting the freedom of movement in your ribs, shoulders, neck or jaw. When this happens, you’re breathing is being compromised. In other places, Feldenkrais points out that when learning how to move better, moving slowly, holding your breath or using force of will is a sure sign you doubt your ability to do and/or to learn the movement well. But I assure you — you will often be fooling yourself! It is insanely helpful to learn to know what you are doing, not just what you think you’re doing, or would like to be doing. This is why it’s so important not to base your self-worth on how perfect you are. Explore with non-judgment and the knowledge that you are functioning perfectly given your perception of choices. In other words, you’re doing great as you are, and… you can learn to do better. It’s also why when learning to move with greater skill, it is crucial to include slow movements with effortless effort. Otherwise, you have little chance of sensing what you are actually doing. (Check out my free eBook and/or this blog post for more on this). Here is another tidbit to help you find greater ease in your breathing. Your ribs are not meant to hold you up in the field of gravity. Neither are your shoulders. It’s incredibly common to see people trying to have good posture by holding their rib cage up and shoulders back. They lift themselves up by their chest. Maybe you do too? You can have a dramatic impact on the freedom of your breathing by realising that your ribs can hang off your spine (think upright postures here). And your shoulders hang off your rib basket. It’s your spine that supports your ribs — not the other way around. Learn to allow the full lengthening/releasing of the muscles that contract to breathe in. Once you start to organise the out breath, the in breath begins to take care of itself!